Meet Havelock. He’s the current character I play in Dungeons & Dragons. Havelock is a (currently) Level 10 Drow Assassin (Executioner build). This post is going to be a guide to what I feel is the best build for an assassin in D&D. There’ll be a bit of theory craft, a bit of lore, and a bit of baseless opinion, so feel free to disregard or complain. This guide is going to be based on D&D 4th Edition (4e) , rather than the just recently released 5’th edition (5e/D&DNext) because I don’t play 5th edition. I’ll also be using the character builder provided by Wizards of the coast, for no other reason than it allows you to print out spell cards after character creation. Over the years Wizards has added (and removed) some options, so this may not match everything that’s available in the player guides. 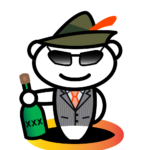 When choosing between options in your build, I’ll use the following ratings which should be self explanatory: [Useless], [Neutral], [Decent], [Good], [Great]. So you want to play an assassin. It’s a fine choice, you have a lot of fun and a lot of versatility in this build. Unlike other strikers (damage dealers) you have multiple venues to deal damage, from poisons, to daggers, to garrotes, to shrunken… there are quite a few builds available. This guide will list the main options that are available as well as my top choices. Many of these are up to opinion and you shouldn’t feel obligated to follow these. The point is, we’ll be building an Executioner Assassin. I’ve never played a regular Assassin and I have no intention to start since 4e is slowly coming to a close. You have the option of choosing between the Attack Finesse trait or Master of Shrouds trait. The benefit of BOTH is that you use Dexterity instead of Strength when making Melee basic attacks. [Decent] Attack Finesse simply give you an extra 1d8 to damage rolls made with a 1 handed weapon (melee or ranged), which bumps up to 2d8 at level 11 and 3d8 at level 21. This ability doesn’t seem like much at first, until you realize that it stacks, up to 4 times. 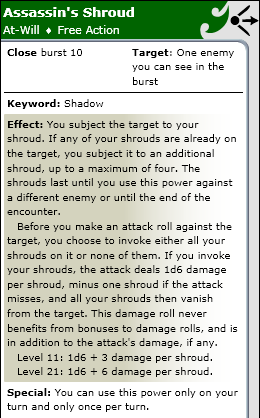 So each shroud is only dealing 1d6 damage when it’s invoked (and then its removed) you have the option of dealing 4d6 damage to a boss on a long fight. This is a tough choice, but I went with Assassin’s Shroud, for the main reason that it gives you a decent ranged ability that you can use as a Free Action, rather than a Standard Action (meaning you can attack a target in melee range and then add a shroud to another target in the same turn). It doesn’t allow you to do the standard once per turn 1d8 damage that Attack Finesse does, but the possibility of dealing 4d6 damage on an enemy (possibly a boss) is really appealing, as our DM’s like to make long and hard boss fights. And, if the attack misses, you deal damage minus 1 shroud. Definitely worthwhile if you’re fighting creatures with high defense. Both, however, are great choices. Assassins have to be trained somewhere – that somewhere is at an Assassin’s guild. There are there main guilds, each of which (deepening on the story of your campaign) have satellite offices in most cities and cultures. There’s no right or wrong answer, and each choice gives you unique benefits as well as different options toward role playing. The very existence of this guild of executioners is often dismissed as myth or urban legend. The League of Whispers keeps its membership a secret. Although individual members might be known as assassins, their association with the guild is rarely more than a matter of speculation for nonmembers. The league keeps its existence a mystery by executing anyone who discovers the truth. The order holds secret meetings once every full moon, where the members converge to discuss jobs, trade secrets and tricks, and receive orders from their Grandfather of Assassins. [Decent] Bola Takedown: A basic Crowd Control opportunity. Knocks a target prone. [Good] Quick Shot: Must use a hand crossbow. Allows you to attack with a crossbow at point blank range without invoking an opportunity attack, then step back two squares. [Great] Precision Dart: Must use a blowgun. Allows you to shoot a poisoned dart at your enemy, applying 1 poison to them. This is basically a ranger who uses poison. Very similar to the Demon Hunter class in Diablo III. If you choose this class, I only recommend Bola Takedown if you plan on handling crowd control (typically a controller task, not a striker task). Poison Dart would be your go to ability as it allows you to apply your assassin poison to the target from a distance. Of all the warriors in the realm to draw steel in combat, the ninja is the most mysterious. The streets are full of whispered rumors about these silent spies and killers, who seem able to appear anywhere at any time. Some say that ninja can alter their appearances so skillfully that one of them can stand before a victim in the guise of a lifelong friend or trusted retainer, and awaken no suspicion; and that they can kill with a single sword stroke. [Useless] Ninja-to Rush: Gives combat advantage if you’ve fallen or flown this turn. [Neutral] Whirling Kusari-gama: Knocks a target prone. [Great] Poisonous Shuriken: Target 1, 2, or 3 creatures. If it hits, apply a poison to all three targets. The only good ability is Poisonous Shuriken. It’s really the only reason to become a ninja in the first place. This is essentially a version of Precision Dart that hits multiple targets. This order of assassins works to keep society in balance. If any organization grows too powerful, too corrupt, too wealthy, or too vile, the Red Scales weigh and measure the members of that organization and then collect a payment that they are owed in blood. Though one might call the Red Scales idealists, none can say what truly drives them. Rumors abound that this guild’s Grandfather of Assassins is touched by some planar entity. They say that his eyes are orbs of golden fire, a feature he gained, along with his new policies, only after he returned from a journey to the distant East. [Good] Garrote Strangle: Allows you to strangle an enemy, grabbing them and forcing them to take a -2 penalty to attacks against yourself so long as you sustain it. Can only be used if you were stealthed or invisible, or otherwise hidden from a creature. [Good] Poisoned Dagger: Must be used with a dagger. Applies a poison to the target even if it misses. [Neutral] Quick Lunge: A 1-square shift followed by a knockdown attack, and if you hit you can shift back where you started. I don’t think I’ve even used this ability in game. This is the option I chose Red Scales, as it fits more in with the Assassin theme than any other build, and besides, you get to freaking strangle people. The answer is, maybe, it depends on if you look just at game mechanics alone. I however plan to Role Play as an assassin, and to me, having the Garrote and Poison Dagger just seems more Assassiny to me. You can choose from 4 poisons (out of 6 to begin with), so really you’ll be choosing 2 you don’t want. I’m only going to list the in-combat benefits, you may want to take a look at the out of combat (role playing) damage/effects each poison does and decide for yourself. [Good] Bloodroot Poison (D 394) Deals 6 extra poison damage & dazes target. [Neutral] Carrion Crawler Brain Juice (D 394) Deals 4 damage & slows target. [Decent] Greenblood Oil (D 394) Deals 10 damage & the target cannot regain hit points. [Good] Id Moss Powder (D 394) 2d10 damage & 5 ongoing psychic damage. [Useless] Nitharit Poison (D 394) 2 ongoing damage. [Good] Ungol Dust (D 394) 3d8 damage & 5 ongoing acid damage. Id Moss Powder and Ungol Dust are both good choices, but I go with Ungol Dust over Id Moss. You definitely want to choose 1 or the other. I’m writing a specific entry about dice rolls and which dice combinations are better, but suffice it to say that the most likely outcome on a 3d8 roll is either a 13 or a 14 (9.4% probability) vs 11 (10% probability) on a 2d10. As a general rule, when it doubt, go with the higher number of die rather than the higher die number, if that make sense. [Good] Lich Dust (D 394) Deals 10 extra poison damage & target is weakened. This one’s a no-brainer. I should mention that Black Lotus Extract has a non-combat option of dealing 40 poison damage in a Role Playing setting, so you may want to chose that option, depending on what type of games your DM runs. If you plan on killing a lot of people out of combat, Black Lotus Extract is a good option. However, for strictly combat purposes, Insanity Mist is the way to go. The most likely damage output on it will be either 16 or 17 (7.5% probability) and it gives 10 ongoing damage (psychic, for some reason, but damage is damage). The weakened ability of Lich Dust is nice, but I feel that Insanity Mist will help you down your enemies quicker. [Neutral] Dark Reaver Powder (D 394) Deals 10 poison damage & dazes target until end of next turn. [Decent] Dragon Bile (D 394) Creature falls prone and is stunned until end of next turn. [Great] Eye of Basilisk (D 394) 6d10 + Dex mod poison damage & target is slowed. This one again is a no-brainer. Choose Eye of the Basalisk. The most likely outcome on a 6d10 roll is either 32, 33 or 34 (5.5% probability). Now, that 5% probability doesn’t seem like much, but keep in mind that 33 is also the median damage, as well as the average damage. That means that you have just as likely a chance of getting a damage roll higher than 33 as you do of getting one lower than 33. You also add your Dexterity modifier to this damage, which at level 25 should be pretty high, considering that we’re pumping Dexterity every 2 levels, unless you really need Charisma for something. The prone & stun on Dragon Bile is nice, but situation, and Dark Reaver Powder is absolutely useless unless you really need to take someone out for only 1 turn. Dragon Bile does the same thing, but gets a [Decent] rating because it both stuns and knocks the target prone, meaning they have to use a move action to get up on their 2nd turn after being stunned. What Race you choose is mostly an aesthetic or role playing choice. 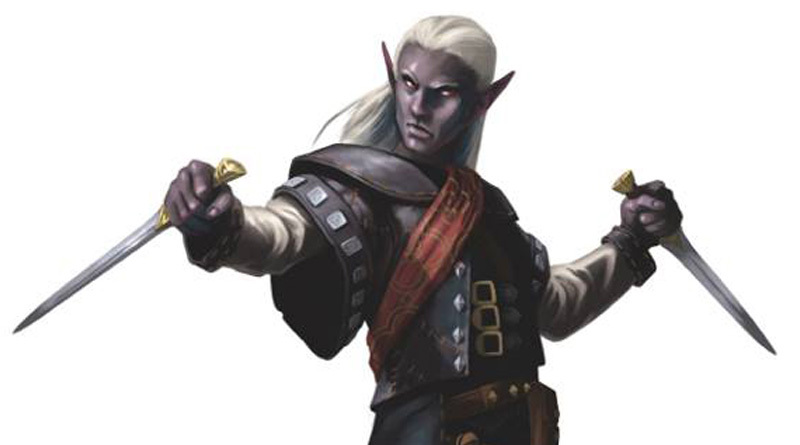 For my part, I chose to play a Drow, as the Assassin (Executioner) theme really sets in with the Drow character. [Great] Changeling – Good for role playing, as you can infiltrate your enemies and pretend to become one of them. You also get the Becomer feat, allowing you to basically perfectly mimic a single race. Automatic +2 to Charisma and +2 Dexterity. 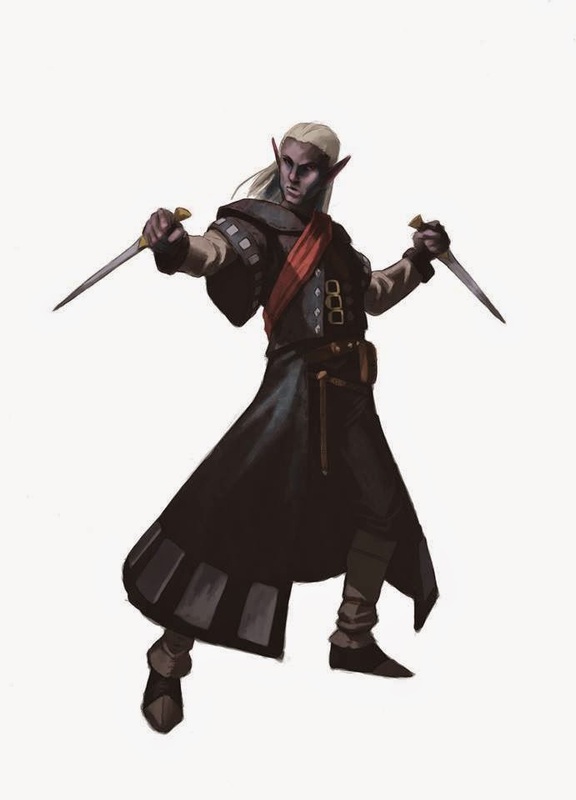 [Decent] Eladrin – Can choose between being either a Sun Elf or Moon Elf. Each give inherent bonuses to certain abilities like Bluff or Streetwise and a weapon proficiency. 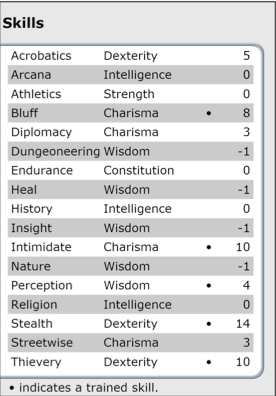 Automatic +2 to Intellect and a choice of +2 to either Dexterity or Charisma. If you choose Eladrin, go with the Dexterity. [Decent] Gnome – The real benefit here is in Stealth. Gnomes can make a Stealth check anytime they make an Initiative roll and have any kind of cover or concealment. Automatic +2 to Intellect and a choice of +2 to either Dexterity or Charisma. If you choose Gnome, go with the Dexterity. 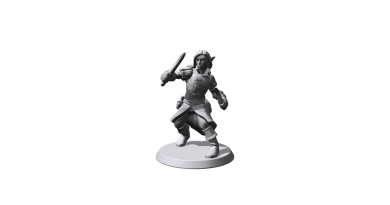 [Decent] Halfling – Not a lot of benefit here, but does give an ability forcing an opponent to re-roll an attack against you. Automatic +2 to Dexterity and +2 to Charisma. [Decent] Goblin – The Goblin Tactics power allows you to shift 1 square as a free action when hit, but other than that not much choice here. Automatic +2 to Dexterity and +2 to Charisma. [Great] Hengeyokai – A shapeshifting animal, you can choose a few options that give bonuses to Stealth or Acrobatics, both good choices for Assassins. Automatic +2 to Dexterity and +2 to Charisma. [Good] Revenant – The Dark Reaping ability allows you to deal an extra 1d8 plus Charisma modifier damage once per encounter as a free action, which is nice. Also you can choose to have your past life option be one of the other races listed so you can meet pre-requisites, like Drowmesh armor, for example. Automatic +2 to Dexterity and +2 to Charisma. [Great] Human – The standard choice. As a human you get a bonus feat choice at level 1, which is useful, and +2 to any ability you like. A versatile choice. Background and Theme are optional and you don’t have to choose 1 or the other. Themes will give you unique bonuses or extra abilities, whereas Backgrounds will give you extra skill training, skill bonuses or languages. Both of which are useful to have. Damage Dealing Abilities: You’ll want to choose a theme which offers you an extra attack of some sort. If its a standard (rather than Encounter) ability even better, as it can replace your At-Will attack. Utility Abilities: Abilities that give you an extra utility are a good choice here, although “Utility” is a rather nebulous term. By Utility I mean abilities that give you an added skill. For example, there are themes that give you extra abilities your class might not have, such as an additional stealth, abilities that weaken, ensnare or knock targets prone, or anything that is going to be situationally useful. Mobility Abilities: Some feats give you extra movement, or escape abilities if hit, for example. For an Assassin class (think Melee) you can’t afford to get hit a lot. Anything that allows you to move, escape or shift (without incurring opportunity attacks) is a good thing. The Skulking Spy ability gives you an optional shift (replacing your standard move action, however) up to your speed. At the end of that shift, you can make a stealth check to become hidden. As a stealth class, an extra opportunity to become hidden is very useful. In choosing a Background – think role play. Backgrounds don’t give you extra abilities – rather they give you extra training in skills or a bonus to already trained skill. Since Stealth is your main skill, I recommend choosing a background that boosts your Stealth. I chose the Occupation – Hired Killer background, giving me a +2 to Stealth. Dexterity will of course be your main ability. All of your attacks use your dexterity modifier, so pumping points into Dexterity is your top priority. Charisma is your secondary ability. 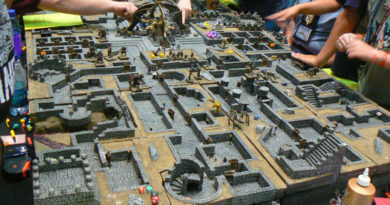 You’ll want to pump points into this as well, as it is used for many of your checks (depending on feats) as well as various role-playing options. Strength was previously an important ability, but in the most recent version of 4e it is now completely useless as Executioner assassins can choose between Attack Finesse or Master of Shrouds, both of which replace Strength with Dexterity as the modifier you use when making melee basic attacks. What skills you choose will depend on what type of game you play. An Assassin/Executioner is basically a deadlier form of a Rogue/Thief, so you’ll already have stealth trained, which is important as many of your abilities require you to sneak up on people. Bluff is a good choice here, especially if you select the Spy theme which, at level 10, allows you to use Bluff checks in place of Diplomacy or Knowledge checks. Intimidate, Thievery & Streetwise are all good choices for role playing situations. Acrobatics, Athletics, & Perception are good skills to train for many combat situations. Keep in mind that since Dexterity will be your highest ability, Acrobatics, Stealth & Thievery will be your highest skills before training, so you may want to train 1 or all of them to give yourself an edge, or others in order to bring your skills up to snuff. [Neutral] Distracting Illusion – Creates an illusion that can be used to distract your enemies. [Great] Silent Stalker – Allows you to move your speed to within 2 squares of an enemy & remain hidden. 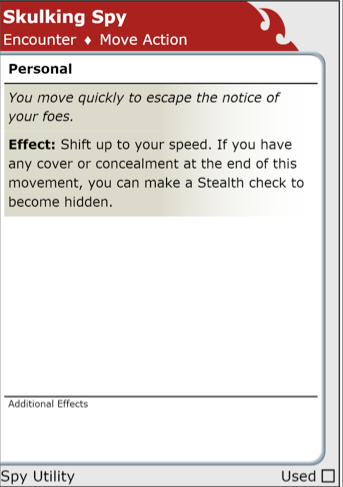 This is great because you can later take a feat that allows you to make a stealth check whenever you become hidden! [Neutral] Smoke Bomb – (Encounter) Creates a burst 1 zone of obscured squares that lasts until the end of your next turn. [Decent] Summon the Mists – (Daily) Creates a zone of 5 squares that are obscured until end of encounter. A better version of Smoke Bomb basically. [Decent] Darkness – Creates a burst 2 zone that obscures everything within it until the end of your next turn. [Useless] Feathery Tread – Allows you to levitate, which can be good by allowing you to ignore difficult terrain. In general, however, its a waste of a feat. [Useless] Ghost of the Rooftops – Allows you to climb and jump a distance up to your speed. Good for certain situations I suppose… except you might as well just make an acrobatics check as your acrobatics should be fairly high. [Great] Vanish – Allows you to literally vanish whenever you are hit by an attack, ranged or melee, with a teleport! [Useless] Death Mark – Allows you to always know where a target is and they can’t become invisible to you. Only useful in Role Playing heavy games. [Neutral] Eyes Unseen – Allows you to see and hear anything that happens from a square in addition to the square you’re standing in. Good if you need to scout out a position. [Neutral] Veil of a Thousand Faces – Assassins have a class feature called Flawless Disguise which allows you, during an extended rest, to craft a disguise, giving a +5 bonus to Bluff checks when NPC’s attempt to see through your disguise. Veil allows you to craft a new disguise as a standard, at will action, with only a +2 to Bluff rather than the +5. Not really useful in my experience. [Good] Walk Through Shadow – An additional Teleport (since you already chose Vanish at level 6). With so many feats (and I mean literally hundreds from which to choose) it’s hard to give a top 5 or top 10 list because I would definitely miss something. So instead, I’ll list the priorities you should have when making your choice, then list what I’ve chosen for my Assassin. Damage is definitely something that you’ll want to look at. Anything that will increase your damage, such as weapon proficiencies or additional trainings would be something you’d want to prioritize. You’re pretty much an OP Rogue, so you should use this. Anything that gives you a vanish, stealth, escape or invisibility is going to give you a great boost to your damage and Role Play opportunities. Defense is key, but you may want to prioritize damage dealing before defense. Honestly if you’ve got a good group of people who have healing abilities then you can hold back on some of the defensive feats. Keep in mind that in making my choices I’m playing a Red Scale Executioner, who is also a Drow, so some of these choices won’t necessarily apply to all Executioner Assassins. Level 1 Versatile DefenseTwo-Weapon Defense – +1 bonus to AC and Reflex when wielding a melee weapon in both hands. Level 1Venom Hand Master – Ignore Poison Resistance. I was forced to choose this feat when my DM began crafting monsters immune to poison. Level 2 Assassin’s Cloak – Gives a Stealth check option whenever you become invisible, as many of your abilities do. Level 4Ki-Focus Expertise – +1 to attack rolls made with a Ki Focus (all of them) and +1 to damage rolls agains Bloodied targets. Level 6Master at Arms – +1 to attack rolls made with a weapon (all of them). Level 8Silent Shadows [Guild] – +2 to Stealth checks. Level 10Two-Weapon Fighting – +1 to damage rolls when using a Melee Weapon. A Ki Focus is required for all Executioners (all Assassins really). For lore purposes, a Ki Focus allows the Assassin to channel dark abilities. Even though Executioners are martial (rather than shadow) classes, you still need your Ki Focus. The in-game reason is simple: you can infer it’s enhancement bonus (i.e. +1, +2) to your weapon when using your abilities. For this reason, when purchasing weapons, go for weapons with the best secondary abilities (i.e. adds 6 additional poison damage on a critical hit, for example) and go for the higher enhancement bonus on the Ki Focus. Your Ki Focus should always be the one you put your money on. Wizards of the Coast user Litigation turned me on to this. Until I read a few of his forum posts I had been using dual daggers. However, he pointed out that Rapiers are the best weapon for an Assassin to use due to their damage (1d8 on a rapier vs 1d4 on a dagger). So, unless you’re using your Garrote Strangle or Poison Dagger abilities (probably 2 or 3 times per encounter) you’ll be using the rapier to deal most of your damage. Red Scale Guild members will need to have a Dagger handy in order to use your Poisoned Dagger ability, although you might want to look at a Dynamic Weapon, which can change into any type of melee weapon you choose. This is useful because there are other weapons that deal more damage than Daggers, but these are still necessary in order to apply your poisons. A Garrote is necessary for your Garrote Strangle ability, one which you can only use while hidden from your target, but when it’s used it’s quite powerful. Once successful, it becomes a sustained ability, making your target immobilized & muted (helpful if an enemy’s ability requires speaking). In addition, the target takes a -2 penalty to attacks made against you so long as the ability is sustained. You need your Bola for your Bola Takedown ability, which helps in Crowd Control. An absolute must for your Poison Dart ability. Keep in mind that these are two-handed weapons, so plan your feats accordingly. As an absolute must get the Blowgun Training feat as this increases its range and its Crit damage. This one is a better choice overall vs a short bow. You can use the Two-Weapon defense Feat for a little boost in survivability, and it does increased damage (1d8 vs 1d6 on a Short Bow) at the cost of range. Shuriken & Kusari-Gama are obvious choices for the Ninja. Other than that, you’ll be going with a Rapier for your melee damage. ← Cross-Realm groups can now queue for Ashran!